5 December 2012: In 2009, Moody’s Investors Service put all local governments in the United States on negative credit outlook. It was the first time such a blanket report was ever issued for cities, towns, counties, and school districts. To date, the negative outlook remains. It’s an understatement to say that local governments have been caught up in unfavorable financial and market trends since the economic downturn began in 2008. Local governments have cut services and laid off workers, including police officers and school teachers. The Wall Street Journal estimates that local government personnel reductions add a full percentage point to the nation’s unemployment rate. 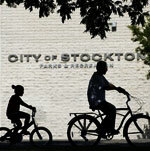 Most publicity on struggling local governments in the US has focused on the bankruptcies of three California cities - Stockton, San Bernardino and Mammoth Lakes. 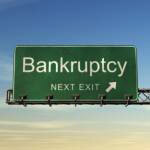 Twenty-four states allow their local governments to file for bankruptcy protection under various circumstances. Bankruptcy is a quick fix. Bankruptcy, in most cases, does not require a local government to sell assets to pay its debt, reorganize its management, or restructure its revenue sources. Most states, including those that allow municipal bankruptcies, intervene to prevent an official bankruptcy by appointing a fiscal control board to actively manage the finances of the distressed local government. The goal of a control board is to bring fiscal stability by transforming the underlying governance process. Local governments in the US struggle financially for many reasons. Most face rising pension and healthcare costs for public employees and declining revenues due to losses in real estate values. State aid and federal aid generally have been decreasing for many years. Local tax structure also plays a part. Overlapping jurisdictions of counties, cities, towns, school districts, and special districts rely on the same residents for revenues, and the pockets of taxpayers are not bottomless. Moreover, high poverty, high crime, and aging infrastructure - characteristic of many distressed communities - are expensive. However, these reasons are but the surface of a deeper structure that leaves local governments vulnerable to failure and explains why states often come to the rescue. The United States Constitution addresses the rights of the federal and state governments, but is mostly silent on the roles and responsibilities of local governments. Local governments are dependent on states for whatever power they have, and these relationships can be tenuous. For example, when a state legislature is dominated by suburban or rural interests, the preferred policies of a core city may be diluted or overruled, and that city may struggle to provide the services its residents desire. Similarly, state or federal law can require a local government to provide a service that it really doesn’t want to provide, the so-called unfunded mandate. When other governments can constrain a local government’s powers, failure can occur more easily. Local governments in the US are dependent, not only on the states, but also the private market. In the 1980s and 1990s, many cities and counties adopted aggressive pro-growth strategies. Generous public incentives to developers were financed through bonds, with interest to be paid with the anticipated increase in property tax revenues generated by those developments. During the economic downturn, the market shifted its resources away from communities, creating local fiscal crises. Incompetence or outright corruption on the part of elected and appointed officials are also among the reasons local government fail. Poor asset management, imprudent investments, and unaffordable labor contracts may be masked when revenues are flowing. But when the money slows down or stops, the fiscal problems become uncontrollableat least at the local leveland pressures build for relief from the state. A fiscal control board is a temporary team of experts appointed by the state that takes over the financial management and budgetary decisions of a local government that is about to default on its debt, cannot meet it payroll, or cannot provide basic services. Sometimes a state mandates a control board; in other cases, a local government requests one. Although the composition and responsibilities of control boards may vary, local elected officials invariably lose most authority over their government’s revenues and expenditures. Often control boards have the power issue debt or re-negotiate labor contracts. Control boards are essentially an intensification of a state’s existing authority over local governments. In normal times, states regulate local governments’ finances by providing aid; capping local income, sales, and property taxes; requiring balanced local budgets; limiting local investment options; and mandating specific services. A control board is a mechanism by which states can impose, alter, or suspend such financial regulations to address the emergency needs of a particular local government. Control boards are not meant to be democratic, but efficient. Their focus is on re-establishing long-term fiscal stability, and the wishes of citizens and elected officials for particular services are often ignored. According to research by Deborah Kobes of the Massachusetts Institute of Technology, 119 local governments, large and small, have been assigned fiscal control boards since New York City famously received one in 1975. In the early years of New York City’s control board (which still exists), relations between citizens, the mayor and other elected officials, and the control board were contentious. Residents, especially the poor and minorities, were concerned that their priorities would be subservient to massive revenue-promising schemes by private developers. Slowly, public attitudes toward control boards have shifted. In the 1980s, state governments, in response to public frustration, began taking over chronically underperforming urban school districts. States also began dissolving special taxing districts and public authorities that didn’t show an adequate return for the tax dollars they exacted. As a result, citizens have grown more accustomed to state interventions where the needs are obvious and a clear path to success is articulated, even at the cost of a temporary loss of sovereignty. Not surprisingly, the most recent control boards in Buffalo and Pittsburgh are comparatively uncontroversial. In Buffalo, unions sued when the Control Board froze city employees’ wages from 2003 to 2007; however, overall support from the general public remains strong. According to the New York Times and New York Post, the state of New York is considering fiscal control boards that would automatically go into effect if local governments fail to meet certain fiscal thresholds, the first such policy in the nation and an unprecedented expansion of state power over local government finances. Public employee unions oppose such state intervention, but public support appears solidly supportive. Control boards have led to fiscal stability, if not always community revitalization, in cities such as Cleveland, Philadelphia, Miami, and Washington, DC. However, more than half of the control boards assigned since 1975 (64) are in communities with populations of less than 25,000, and here the results are mixed. A control board can install a new governance structure and calm the fears of nervous investors, but this, in itself, is unlikely to remedy massive layoffs, plant closings, building abandonment, and the high social service and public safety costs that bring communities to their knees in the first place. Control boards tend to be established in communities with low median household incomes; low rates of employment, homeownership, and high school graduation; and high rates of poverty, minority population, and female-headed households. These characteristics, when combined, are markers of municipal fiscal instability according to many studies. It’s interesting to note that Phoenix, Tampa, San Francisco, Boston, and many other cities have weathered very serious financial crises since 1975 without having to resort to control boards. These municipalities have been able to generate sufficient resources in the private market to finance public services for residents. In each of these communities, billions of dollars of private investment - often the result of public-private partnerships - have created jobs and revenue streams. The success of a control board seems directly related to its effectiveness in increasing the capacity of a local government to regulate the market. 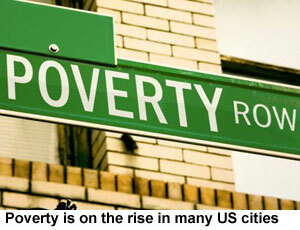 A community of 25,000 can be expected to have less ability to shape the private market than a community of 300,000. And a community of 300,000 that is losing population and jobs will always be extremely exposed to fiscal failure. The long-term fiscal health of such communities is questionable; managerial solutions like a control board may effect short-term recovery, but the fiscal stress is likely chronic. In other words, local fiscal recovery is always bounded by the revenues a local government can raise, and, as we have seen, there are many constraints on local governments’ abilities to generate opportunity, not all of them managerial. And this leads to the question of alternatives to control boards. Management solutions like a control board can help identify new resources or cut costs, but many American local governments are becoming structurally obsolete. Improved management cannot restore long-term fiscal viability to a government that is unable to raise or leverage sufficient revenues. State technical assistance, of course, could help local governments, especially smaller ones with limited staff expertise, develop sound financial plans. What local governments need from states most of all, however, is greater flexibility to achieve their goals on their own: capacity building through unrestricted grants, changes in tax and revenue options, greater access to the bond market, incentives for inter-municipal cooperation, changes in the distribution of state-local responsibilities, and the annexation or elimination of some failing local governments. These alternatives prioritize the underlying strengths of local governments rather than their ability to manage their resources. A control board, like bankruptcy protection, assumes that the local government will return to its pre-crisis form when the intervention ends. This does not make sense for a community lacking long-term viability. A fiscal control board should have the option to dissolve local governments and re-form them with different boundaries or governance structures. Control boards serve a purpose, but we must recognize their current limits. They are managerial solutions, but often the fiscal problems are structural. States must provide local governments with the resources and tools they need to determine their own destinies. There’s no justification for perpetuating local government market failures in a broadly functioning American market. Primary reference: Deborah Isadora Kobes, Out of Control? Local Democracy Failure and Fiscal Control Boards, PhD Dissertation, MIT, 2009. In October 2012, Moody’s, the US credit rating agency, published a report which rated the debt of 30 US cities, towns, villages, counties and school districts as ‘speculative grade’. A year ago only 25 communities were given speculative grades. In an interview with the online investment newsletter 24/7 Wall St., Moody’s Managing Director and Chief Credit Officer of US Public Finances explained that the number of cities, counties and towns in the US that default on some or all of their debt was growing. She attributed this to “a significant amount of credit pressure, sluggish economic recovery, and cities not being able to grow out of their problems this time around.” She added that many towns and cities see defaulting as the only way to avoid total economic disaster.